When success comes in business, it’s natural to become overconfident. Roofers who understand the dangers of overconfidence are less likely to make critical mistakes that will reverse the progress of their business. 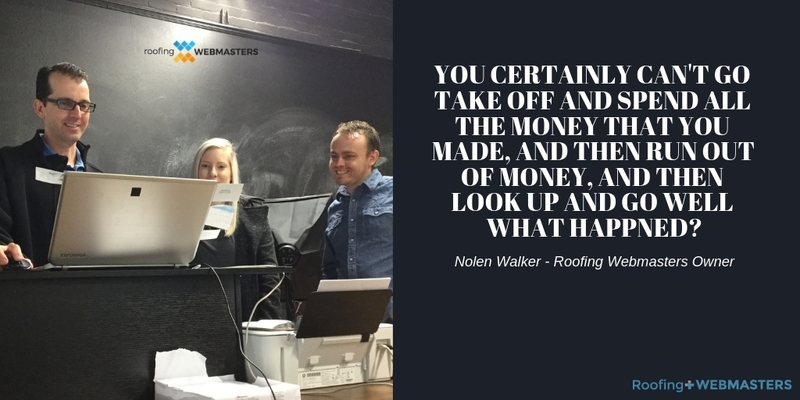 Roofing Webmasters is a digital marketing agency for roofers, and we’ve helped hundreds of roofing contractors achieve business success. While most are able to capitalize off of this progress, and continue its upwards trajectory, there are occasions where contractors get too big for their britches. They overestimate their financial security after a few big roofing jobs and start making poor financial decisions. We’ve even heard of roofers taking entire years off because of a financial security. The problem with this thinking is that once the cushion is gone, it’s very difficult to re-establish yourself in the marketplace. If some of these conflicts seem like good problems to have as a roofer, don’t hesitate to get in contact with Roofing Webmasters. As you’ve read and heard, the contractors who are making these decisions are making them based on success. If you cannot even think about boats or trucks right now because of low call volume, lack of roofing leads, etc. We can turn that around for you. We are a top roofing authority in the SEO world and create custom websites for contractors and companies throughout the United States. The profits achieved from our services are meant to be enjoyed, but it’s also important to keep perspective on your roofing business so that you can continue to maintain that level of success. Call (800) 353-5758 for roofer internet marketing.